Yoann Corre is wireless CTO and Head of Research & Technology in the Infrastructure Network Department of SIRADEL, France. He is leading the research, prototyping, and expertise activities related to propagation channel modelling (MIMO, mmWave, …) and design of new-generation networks (5G dense wireless networks, FWA, long-range IoT, wireless backhauling…). 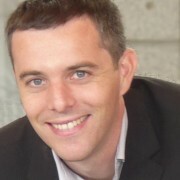 Yoann Corre received his Engineering degree from INSA Rennes (France) and his MSc from UCL (London, UK) in 1999. At SIRADEL since 2000, he has been working on radio-wave propagation modelling, mostly based on physical approaches (e.g. ray-tracing), and applied to various domains such as mobile communication, WLAN and digital TV. He has contributed to the elaboration of many software products devoted to the channel simulation (Volcano technology) and optimization of the wireless network deployments. He was involved in several European research projects related to digital TV, heterogeneous networks, mmWave, massive MIMO, or electromagnetic field exposure. He is now leading the French ANR-BRAVE project that aims at the definition of 6G Tbit/s communications above 90 GHz. Abstract— The radio spectrum above 90GHz offers opportunities for huge signal bandwidths, and thus unprecedented increase in the wireless network capacity, beyond the performance defined for the 5G technology. Today this spectrum is essentially exploited for scientific services, but attracts nowadays much interest within the wireless telecommunications research community, following the same trend as in previous network generations. The aim of this work is to discuss the elaboration of new waveforms able to efficiently operate in the 90–200 GHz spectrum. The researches rely on three complementary works: the definition of relevant communications scenarios (spectrum usage, application, environment, etc); the development of realistic models for the physical layer (propagation channel and RF equipments); and the elaboration of efficient single-carrier modulations.